Though assault and battery are often used interchangeably, and are commonly assumed to be the same criminal offense, these are actually two distinct crimes under state law. The Florida criminal code contains the essential definitions, but the language can be very complex. If you were arrested for assault, battery, or both, the best way to understand the charges is to speak to an experienced criminal defense attorney about your case. On your own, you may not be able to properly defend your rights, especially if you are incarcerated pending your trial date. Still, you may find it useful to check out this overview of assault and battery crimes in Florida. 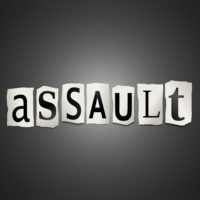 Assault is an intentional threat, by words or gestures, to engage in a violent act against another person. The conduct must be accompanied by an apparent ability to make good on the threat, and some act creating a fear in the victim that harm could be imminent. Battery is actually, intentionally striking or offensively touching someone against their will, or other acts that intentionally causes bodily harm to a victim. The primary difference between these two crimes is that battery involves physical contact, where assault may or may not. The threat to do harm is enough to get a conviction for assault. These crimes are often charged together if the assault (threat) and battery (physical contact) occur together. As a Second Degree Misdemeanor, a conviction for assault could include up to 60 days in jail, a fine of $500, or both. Battery is a First Degree Misdemeanor, which means you face one year imprisonment and a maximum fine of $1,000 for a conviction. Because the crimes are separate, but often charged together, you could face penalties for both offenses in one incident. Your sentence for a conviction would likely run consecutively, so you would serve 60 days incarceration for assault, then another year for the battery. There are aggravated forms of both assault and battery, which increase the potential punishment. Aggravated assault is threatening a person with a deadly weapon or with an intent to commit a felony. The offense is a Third Degree Felony punishable by up to five years in prison. Aggravated battery is intentionally causing great bodily harm to a victim or using a deadly weapon in connection with a battery crime. It is a Second Degree Felony, for which a court could order up to 15 years’ incarceration. Since assault and battery offenses include very specific details, it is important to retain an experienced legal counsel immediately after you were arrested. Being charged does not equal a conviction, and you want to make sure the court hears your side of the story. For more information or to schedule a free consultation, please contact the Fort Lauderdale office of criminal defense attorney Kevin J. Kulik.